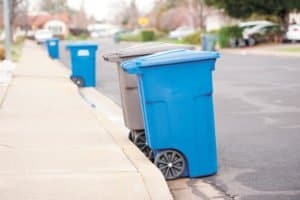 Here’s an overview of different types of dumpsters, where to rent them, and how much you can expect to pay for them in Denver. First off, there are many dumpster companies to choose from in Denver. The best way to narrow down who you should call is to consider what you will be using the dumpster for or what type of project you’re taking on. Secondly, remember that with many different companies come many different fees. Some dumpster rental companies are upfront with their pricing and some aren’t. We will give you a good list of questions to ask whichever company you choose. It will help make sure you don’t end up with outrageous hidden fees and overages. Dumpster trash services customers are provided dumpsters behind their homes for the disposal of household trash only. Generally, one dumpster is provided for every four households to share, but residents may use any dumpster in their alley. Denver has opted to “Phase out” these dumpsters from residential neighborhoods in 2017 in an effort to lower the amount of trash created by Denver residents. The roll-off dumpster is by far the largest of dumpsters. Primarily used by commercial construction companies but can also be rented by residential homeowners. These dumpsters come in a variety of sizes and price points (and colors). 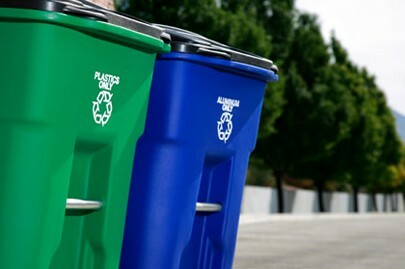 Roll-Off Dumpsters are priced according to three main factors. How many days or weeks they are rented out, how much weight is allowed to be put into the dumpster (typically dealt in tons), and where the dumpster is to be delivered. Contrary to popular belief, the size of the dumpster plays a smaller factor than the three items listed above. Fees and Permits for overages and street permits can also play a factor in the price of a roll-off dumpster. Again, there is no set pricing for permits or fees, they vary from company to company. The city of Denver does require a temporary permit for dumpsters in the street where permitted. The best way to avoid paying extra for permits is to ask that the dumpster is placed on your personal property if possible and practical. Most companies sell these permits to you when placing your order. How long can I keep the dumpster before being charged additional fees? Also, what happens if I go over the allotted time. How much weight am I allowed to put into the dumpster? Also, what if I go over? 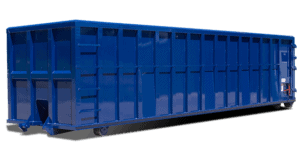 Check out how our post on – How to Select What Size Dumpster You Need. We are Affordable Roll-Offs, your local low priced roll off dumpster rental company. With us, there are no hidden delivery fees or fuel surcharges – Just honest and transparent dumpster rental prices! 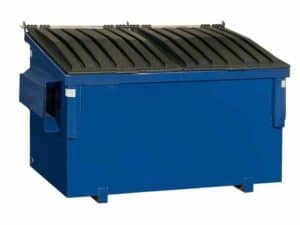 When comparing dumpster rental services and collecting quotes, it’s important that you have the proper information to compare apples to apples. That’s why we wrote this post.